First, let me just say I LOVE STORY PEOPLE and the line by Brian Andreas is amazing!! That is where this week's quote and art are from. I was first exposed to Story People at a friend's baby shower. We were asked to bring quotes or blessings for the mother to be and the baby. My friend's sister used a Story People quote. It was so sweet that I started looking them up on my phone as soon as the shower ended. I've been a fan ever since. Make sure to check out their products. I already have a wall in my bedroom picked out for a few of the relationship prints. LOVE LOVE LOVE. Ok, you get it (and no, this is not a sponsored post). Waking up in the morning, expecting the best and asking God to help me handle anything that comes my way with grace has made my outlook so much better. There were a few weeks in the spring where I was totally miserable. Work was in a tailspin and I faced every morning wondering what would go wrong that day. Thank God I am out of that rut. I refocused on the positive and realized that the one thing I can control is my outlook. Everything else...everyone else isn't within my control but when my outlook is good, my reaction is balanced (most of the time--I am human, after all) and my life is happier. 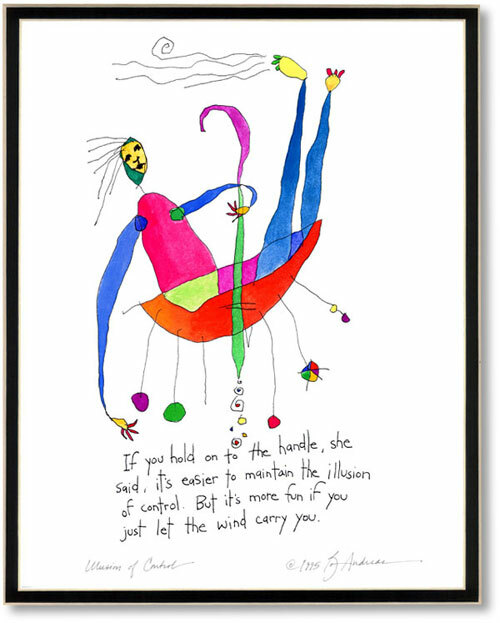 So, today, I am letting the wind carry me. How about you?